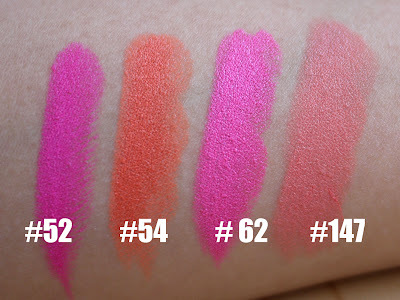 I love these new lip paints from Barry M. The color are bright, fun and daring! 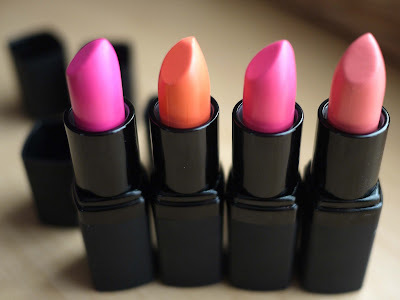 I love to mix and match as well as trying out new color when it comes to fashion and makeup....so I really had a lot of fun playing around with these new lippies. *These are matte lipsticks and they're bit dry so if your lips tend to get dry easily you may not like these. *Stays on for a very long time. I had a tough time getting the color off my lips...believe it or not I had to use facial wash on my lips to completely cleanse it off. *Not available in the U.S.? Or I don't know of any location in the U.S. that sells Barry M products. *Shipping takes approximately 2 weeks. 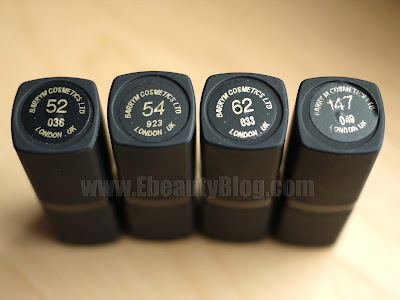 *Affordable...prices are very much compatible to drugstore brands here in the U.S. I love these colors very much although #52 and #62 are very much similar. I'd go with 52 if you want a brighter pink. I'm working on other product reviews which will come soon. Don't forget to add me on FACEBOOK! I want them all sis! They look really pretty on your lips! I love both colors you applied on your lips and your final photo is super adorable twin! OMG!!!! I just asked my cousin to get me these exact colors! I'm not even kidding u!! how crazyyyy!!! I can't wait to get them! =) btw, I love both colors on you!! very pretty! btw, I hope you don't mind me askin but how much is it per lip paint?? & how much do they charge for shipping in US $? thanks in advance! I will try to take pics wearing the other colors for you girls. @Annettee, it's about $6-7 per lip paint and shipping is around $10. All the colors are just amazing. I just love them.